When you need a new haircut, style, or colour, Valley Hair Styling and Tanning is here for you. Located in beautiful Invermere, B.C. 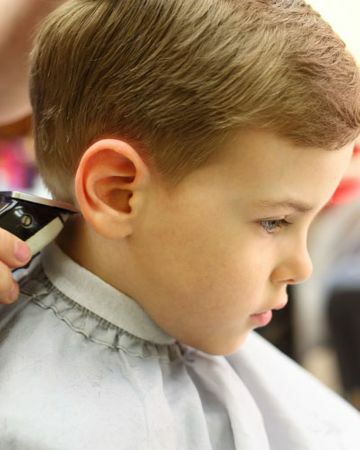 Valley Hair Styling offers hair styling in Invermere for the entire family. Our salon offers a comfortable, friendly atmosphere with affordable prices. Why not take a break out of your busy day and stop by to meet our team of highly trained stylists, ready to serve your beauty needs. Our stylists will work hard to suit your hair style to your lifestyle. Our goal is to make you look good and have a good time doing it. Whether you need to look good for a big event, need a change in your life, or simply want to put your best hairdo forward, Valley Hair Styling and Tanning is here for you. We are open 5 days a week and have a large selection of professional hair products you can choose from. You can also spend time in our tanning bed to bring out that inner glow. Contact us today to book your appointment or a complimentary consultation with one of our highly trained stylists. If there’s space, we can also accommodate walk-ins. We offer a 10% discount for senior citizens, ages 65 and older. Gift certificates are also available. Our expert hair stylists can give you a completely new look. Give your skin a beautiful tan in our tanning bed. We carry several lines of professional hair and tanning products.